Are they those huge contact lenses? They freak me out a little bit! I have been amazed by this since I first saw the lenses etc a while ago! It is really no different then bleaching of the skin and extreme tanning etc for that reason! It upsets me that MANY women aren't happy with what they were given! I cannot say a lot a colour my hair etc to change what I do not like! While I don't do things that change my ethnic appearance we all seem to want what we don't have! People are taught and made to believe they must look a certain way to be considered "beautiful" to the "mainstream" world. Well I call it all BS! I'm not trying to fit into anyone's mode but mine. 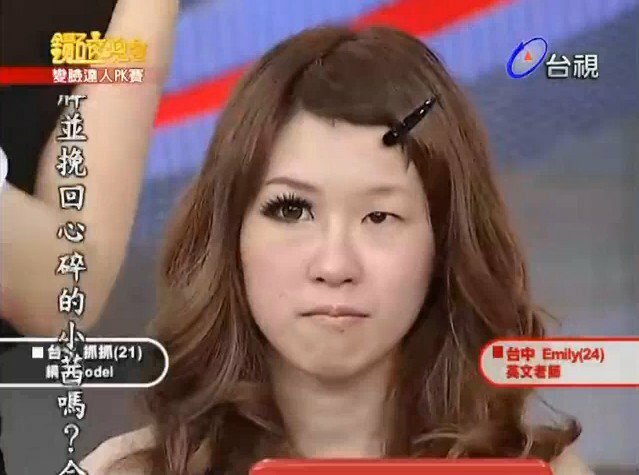 I honestly don't get those huge doll lenses. I like small eyes. Probably because I swear my eyes are huge lol. I love asian eyes. All these stereotypes and things on what society considers beautiful annoy me. wow, those are huge lenses lol. they're great for a doll eye look but i don't think its good for everyday. Why one eye is big and the other is small? I do think beauty is in the eye of the beholder, but I think if you want to wear the fake lashes and contacts that’s your prerogative! I think people should be accepted to do what makes them happy! This is disturbing. Definitely freaks me out. I love my makeup, extensions, lashes and all of that good stuff, but at the end of the day I am comfortable in my skin and love myself, period. That is all that matters at the end of the day. I just wish that women would accept themselves as they are. It is sad that we can't see beauty everywhere, cuz it's ALL around us!! !